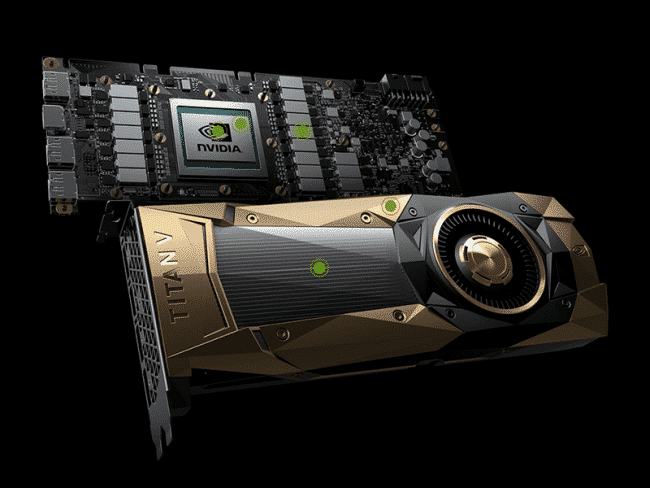 Nvidia, the graphic processing unit pioneer, recently made a surprise announcement of their next-gen TITAN V graphics card at this week’s conference on Neural Information Processing Systems, which it claims to be the “most powerful” in PC history. The new TITAN V card features 21.1 billion transistors that delivers 110 TFLOPs of raw horsepower. Besides rocking the latest 12nm Volta GPU architecture, the chip is designed to power AI and complex scientific simulations, offering as much as 9 times the performance of Nvidia’s previous-generation GPU and has “extreme energy efficiency”. Based on the company’s latest Volta graphics architecture, the Titan V features six graphics processing clusters with 80 streaming multiprocessors for a total of 5,120 CUDA cores when operating in single-precision mode. It also packs 320 texture units and 640 Tensor Cores that are turned for deep learning performance up to 110 trillion floating point operations per second (TFLOPS), according to Nvidia’s internal testing. The GPU itself is clocked at 1200MHz base up to 1,455MHz boost clock, 850MHz memory clock for a 1.7Gb/s data rate across a 3,072-bit memory bus to its 12GB of High Bandwidth Memory 2 (HBM2) frame buffer, which is supported by a 4,608KB level 2 (L2) cache. This gives the card a total bandwidth of 652.8 GB/s which is way faster than the previous TITAN Xp. Despite such hefty specs, the card only requires an 8 and 6 pin power connector configuration to boot and comes in a 250W package. TITAN V is available for purchase at a price of $2,999 from the NVIDIA store in participating countries.